There are multiple companies that will host your podcast, including Soundcloud, Blubrry, Podbean, Podomatic, and even Amazon S3. I personally use Libsyn as it was highly recommended to me. And now, after using them for almost 3 years, I can say they are a dream to work with and well worth it. If you choose to go with Libsyn, make sure to use the promotional code “brain” and you’ll get the rest of this month, and the entire next month free! 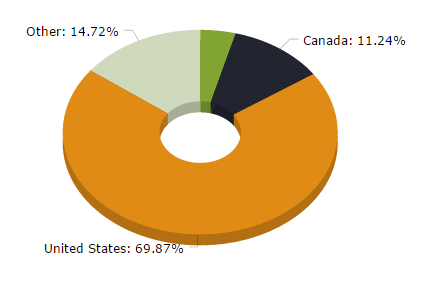 Well, I hope this gives you some insight to the stats that Libsyn provides. I pay $20 a month for their 400MB option for my main show, and another $15 a month for a second feed that contains private episodes for my membership site. Both feeds can be accessed with one login, and I can “switch shows” while I’m logged in to make it easier. The best thing about hosting with Libsyn is that after 30 days, my upload space resets and I start off using 0 megabytes. This allows my episodes to stay online indefinitely. Your episodes are basically sound files that stay on their servers, so essentially you are taking up space on their hard drives. But you don’t pay any more than your monthly fee – it’s a great deal. Again, I have used Libsyn for almost three years as of this writing and I’ve never been disappointed. If you choose to use them, again make sure to use the promo code “brain” so you get the rest of this month the entire next month free! Otherwise good luck in your search for the perfect media host. 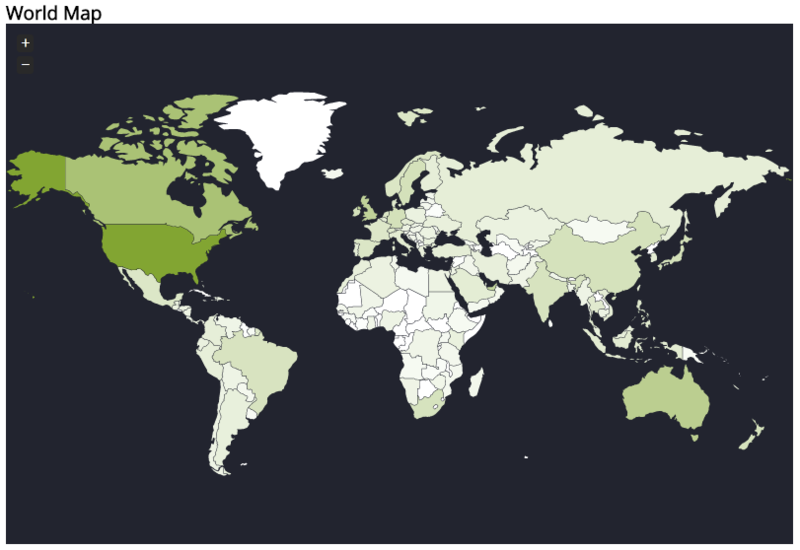 Have you figured out a way to show a geographic stat per day? Sometimes I see a bump in traffic on a particular day, but I can’t tell what regions that is coming from. Thanks for any help. Yes, I think I have! But it may not give you the exact thing you’re looking for. It’s a neat option, and it will give you some good info, but I’m not sure there’s a way to get exactly what you’re looking for. Not exactly but that does help. Thanks! You bet. Yeah, it’s not ideal, but you may be able to do some exporting and collate the data on spreadsheets. Haven’t thought about it too deeply, but this process could give you some interesting historical analysis. 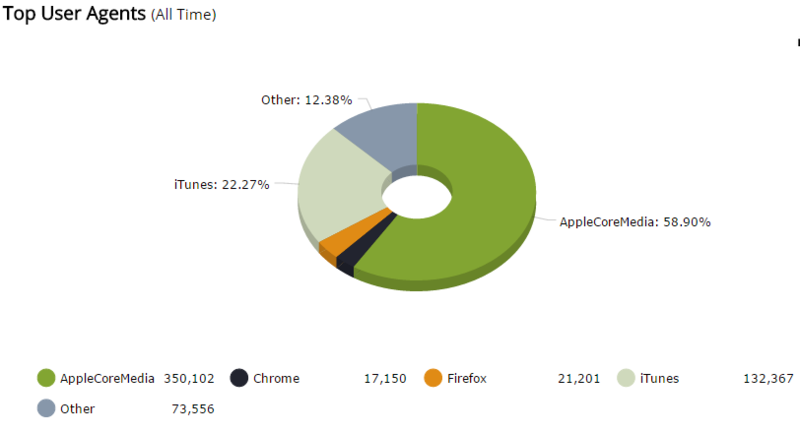 Would LOVE to see Libsyn have a stat for the amount of time listened. I have no clue why they won’t share that. Stitcher shares that (it’s sometimes depressing to look at though), and it’s super valuable info. At what point do listeners stop listening? That would be golden info us podcasters as it would help us create more palatable shows! does libsyn track twitter post clicks to the episodes? Say if you link a post in a tweet does libsyn count that as a download or site visit? If you use the libsyn link to the mp3 in a tweet, libsyn will count it as a download when its clicked. 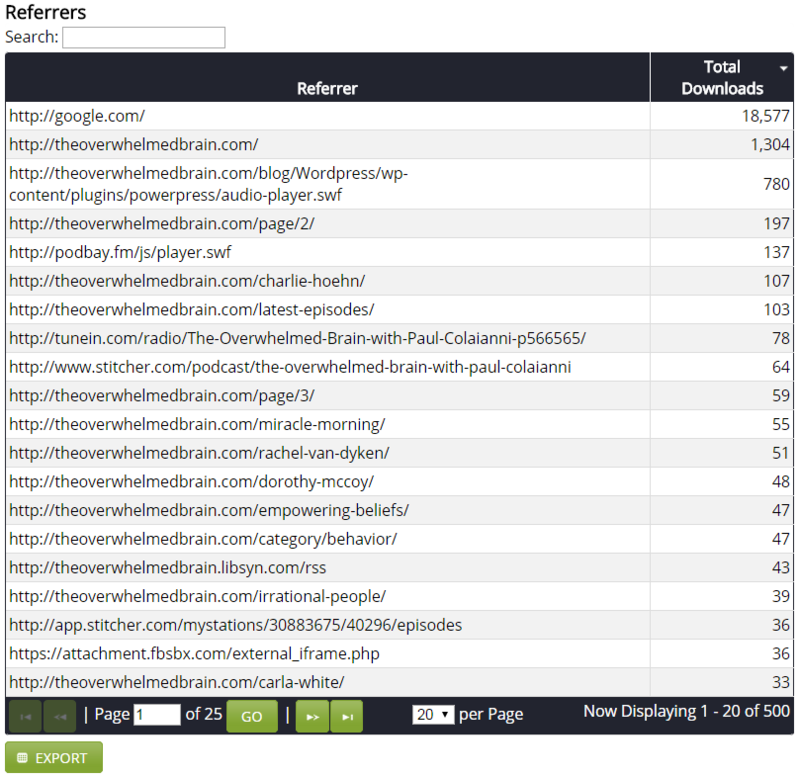 This is typically due to a trend in keywords for your episode. OR, yes, a bot(s) can do that too. Can you trace the source? What media host are you using? 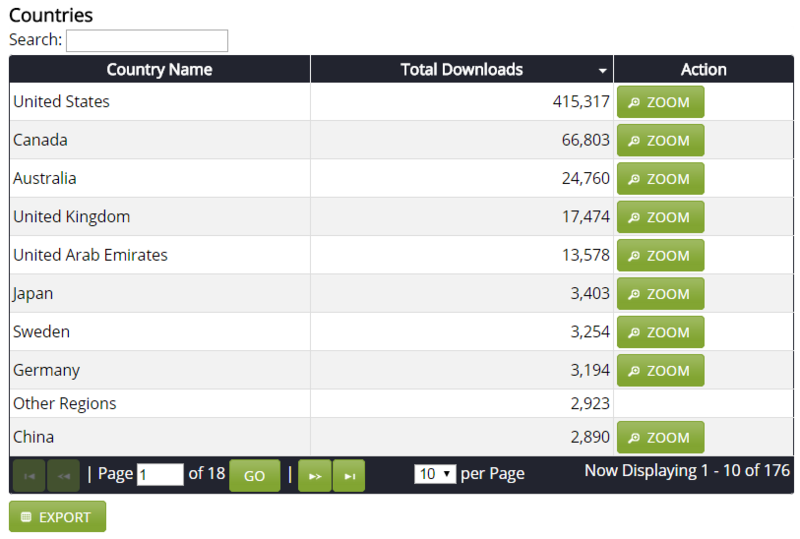 Do they have stats on where the downloads came from? I had a previous guest do some paid marketing for their appearance on my show and I had a completely abnormal spike in downloads for 3 days. It was a massive, unnatural jump. 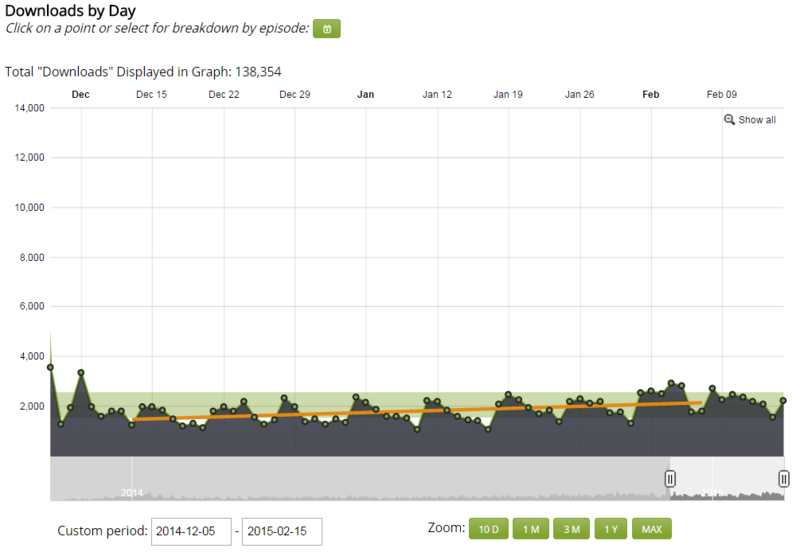 However… that jump must have been bots because the listenership didn’t grow afterward. 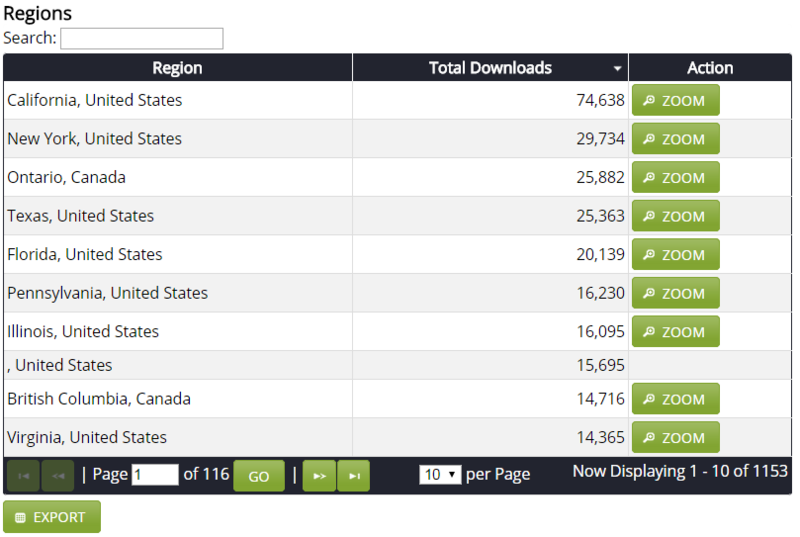 I would say that if your listenership (downloads) don’t grow after a spike like that, you are looking at automation of some sort (bots). OR, you have a terrible show and never attract new listeners. Let’s hope it’s the former, not the latter. 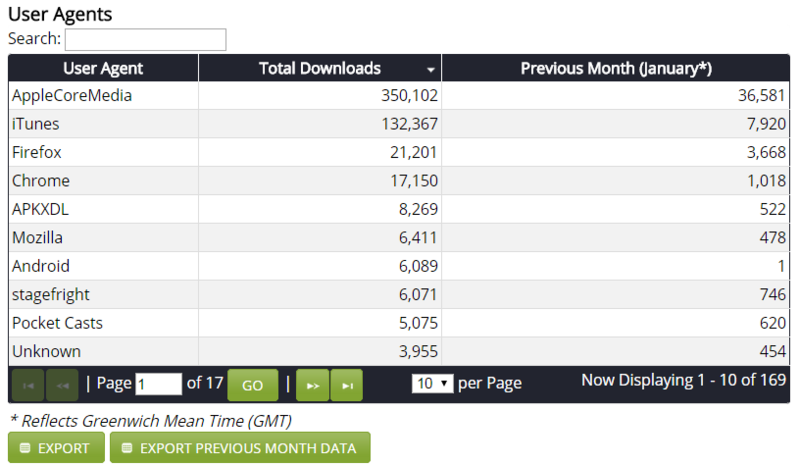 I was wondering if Libsyn showed unique downloads per month. Looks like the answer is “no” right now. 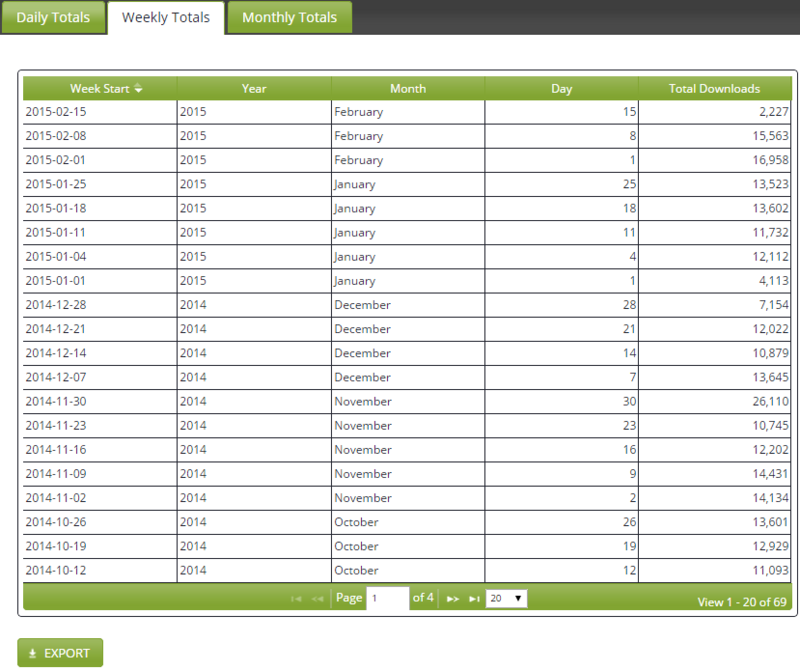 Hey Hilda, Libsyn shows daily, weekly and monthly downloads. So the answer is “yes”! 😉 There is a Monthly tab you can open up and see those stats as well.